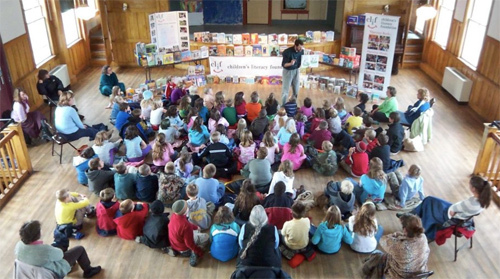 The Children’s Literacy Foundation (CLiF) is a non-profit organization whose mission is to nurture a love of reading and writing among children throughout New Hampshire and Vermont. Since 1998 CLiF has served more than 125,000 children in nearly 400 communities across every region of the Twin States. Through 16 free programs, CLiF serves young readers and writers who have the greatest needs, including children in shelters, children in low-income housing, children of prison inmates, refugee children, migrant children, children from low-income families, children in Head Start, children in communities undergoing severe economic challenges, and many other at-risk youth. CLiF does not receive any state or federal funds. Our programs are supported entirely by donations from individuals, companies, foundations, and social organizations. We hope you will support CLiF’s important work. Thank you!